1. Rinse and dry chicken with paper towels. Cut into cubes and toss into slow cooker. 2. 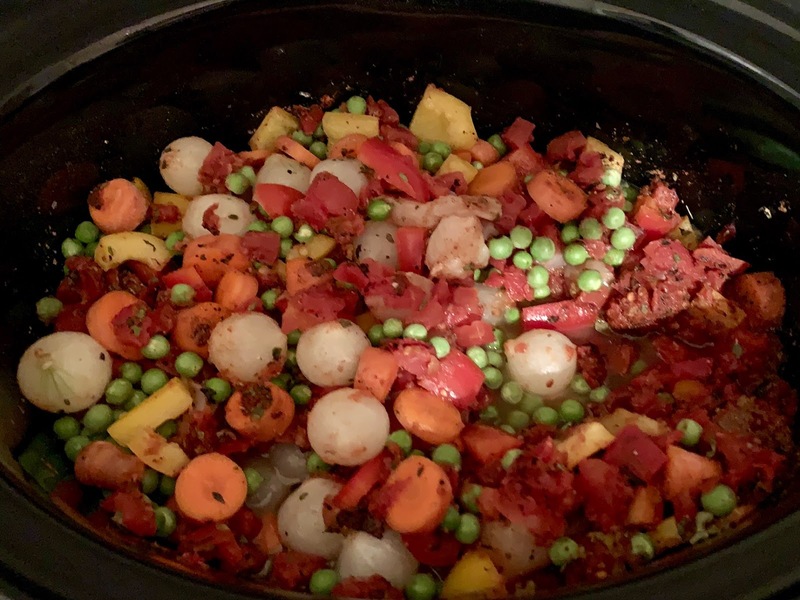 Rinse, dry and chop produce (peppers, carrots and mushrooms) and toss into slow cooker. 4. Cover and cook on low for 8 hours (stirring occasionally is fine but not necessary). 5. Serve and garnish as desired (I am weak for Cotija cheese and a hint of lime). This is truly my go to, especially during the winter when I crave something warm after a long day in and out of the cold. You don't even need all of the above ingredients, pick and choose what veggies you have on hand and toss in spices, stock and tomatoes and off you go. It also is a great no guilt game day meal everyone can enjoy by the tv, while watching their team win (or loose if you are a Pats fan these days, maybe even toss in some tortilla chips if you are feeling it! Recipe adapted from The Complete Paleo Slow Cooker: A Paleo Cookbook for Everyday Meals That Prep Fast & Cook Slow - we aren't Paleo but are always on the hunt for veggie rich low carb easy and tasty meals (if you try the original be aware it was too spicy for us and we LOVE spice).